It was another trip back in time today. Back in time to the days of the colliery pit ponies. Mr. Ray took us back around to Beamish. We hadn’t seen the new addition at the Beamish Museum. Down in the Colliery Village there is a new pit pony stable. There are a few resident pit pony descendants there. The hardest work that they ever do is dress in their harnesses and pose for photos. We thought that you might enjoy these photos from our day with the pit ponies. The kids asked Mr. Ray if he thought this coal cart would still roll. They all had a good try….it may be welded in place along the track. 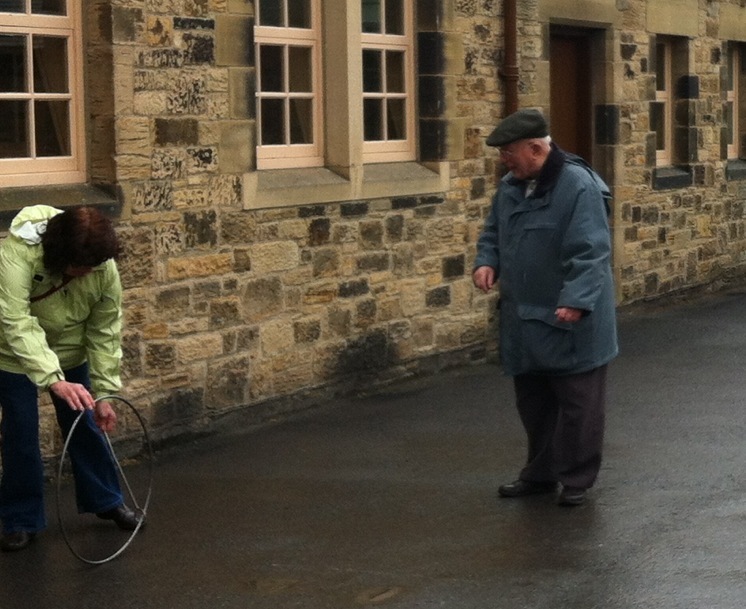 Of course we all HAD to pop ’round the school house yard and have a go at the boolers. The kids and I enjoy these and Mr. Ray is a good teacher. It was another fun and educational Field Trip Friday. 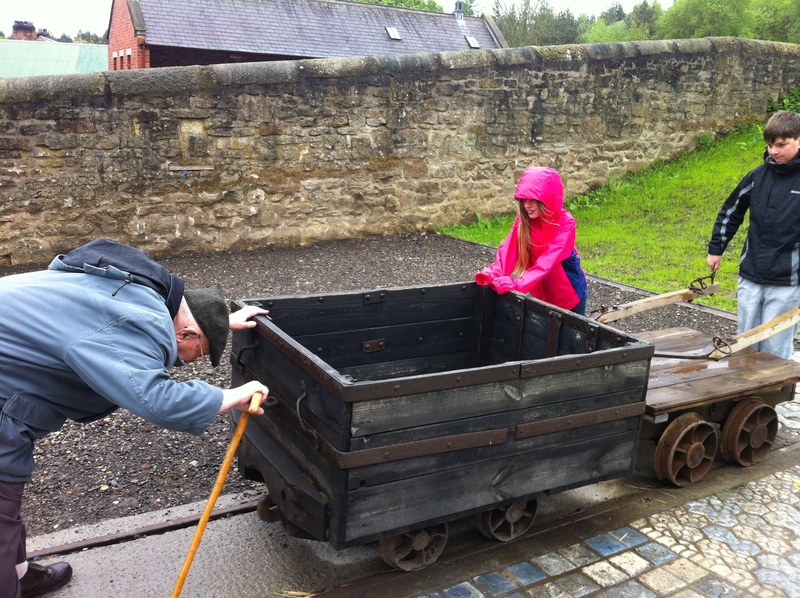 You may also hear the “coal carts” referred to locally as “tubs”. Thought it may be helpful for one of the home school exercises. Thanks, Al. We appreciate that tip!